“Fundamentalism and the Fiscal Turn” in The Fiscal Turn in American Religious History, John Corrigan, Amanda Porterfield, Darren Grem, eds. New York: Oxford University Press, 2017. This essay traces the development of fundamentalism in the context of wider changes in evangelical Protestantism and business in the United States. The need for social stability in antebellum America and the role of Protestant religion in maintaining it tamped down the intrinsic individualism of both evangelicalism and business. But a series of social and business transformations after the Civil War, and the growing influence of the state in social and economic life, provided the impetus and opportunity for a fundamentalist movement to emerge in the 1910s. The firm establishment and naturalizing of modern consumer capitalism after World War II allowed a business-infused fundamentalism (known now as “neo-evangelicalism”) to thrive. Throughout its development, fundamentalism borrowed from business ideology and techniques for religious ends. 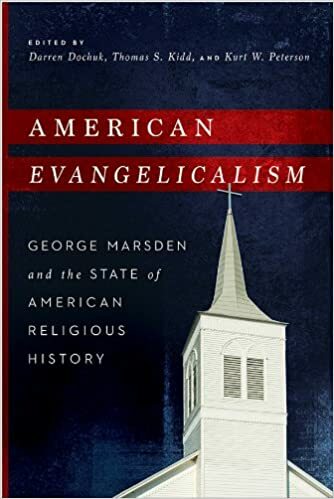 “A Gilded Age Modernist: Reuben A. Torrey and the Roots of Contemporary Conservative Evangelicalism” in American Evangelicalism: George Marsden and the State of American Religious History. Darren Dochuk, Thomas S. Kidd, and Kurt W. Peterson, eds. Notre Dame: University of Notre Dame Press, 2014, pp. 199-229. This essay uses the early life of the prominent fundamentalist Reuben A. Torrey to examine the influence of modernity–theological and otherwise–on conservative evangelicalism. His religious journey from self-described hedonism, to agnosticism, liberal Protestantism, a fusion of social gospel activism and miraculous proto-Pentecostalism, and finally, an idiosyncratic fundamentalism, Torrey drew from a variety of “modernist” sources along the way. This story challenges the binary frameworks that are often used to explain the differences and developments of both fundamentalist and liberal Protestantism. “Faith Healing, Medical Regulation, and Public Religion in Progressive Era Chicago” Religion and American Culture: A Journal of Interpretation, Vol. 23, Issue 2, (Summer 2013), pp. 185–231. This essay examines a six year campaign against the radical faith healer John Alexander Dowie mounted in the 1890s by Chicago doctors, public health officials, and their “respectable” middle class allies. The incident demonstrates the important role of religion in the process of medical professionalization. Medical professionals established cultural authority by aligning themselves with a broader discourse of “orthodoxy”—an ill-defined set of beliefs and practices thought necessary to maintain social order. Protestants used this discourse both to exclude outsiders and unite elites across denominational lines. An initial attempt to prosecute Dowie based on legalistic claims of practicing medicine without a license led to a backlash against medical professionals by middle-class Protestants who believed it compromised the integrity of religious liberty. This suggests that the growing efficacy of medical advances was an insufficient basis of social authority. Only when medical professionals self-consciously aligned themselves with the Protestant establishment and portrayed themselves as defenders of the social order (focused especially on the integrity of the family) were they able to rally the middle classes to their cause. This shift in rhetoric was an important step in the process of creating a discourse of “orthodox” medicine. It helped grant medical professionals the right to oversee the public body just as elite Protestants superintended its soul. “The Trouble with Christian History: Thomas Prince’s Failed ‘Great Awakening.’” Church History 82:1 (March 2013), 125–165. The Christian History, a revivalist newspaper edited by the Boston minister Thomas Prince, is perhaps the most important cultural artifact of eighteenth-century revivalism in New England. It provides source material for countless studies, and more recently served as an exemplar of how revival participants constructed a “Great Awakening.” This essay undertakes a close historical, textual, and quantitative analysis of this two-volume periodical. It reveals complex divisions among revival supporters and surprising alignments among those who disagreed over revivalism. Attitudes toward the social order were a key factor. The Christian History was central to the construction of the “Great Awakening,” (a process shaped both by social power and contingencies), but failed to promote moderate revival activity as intended. Ironically, the newspaper designed by Prince to unite the Congregationalist establishment only contributed further to existing controversies. See also my book reviews.